When it is 68 degrees outside you make sure to get outside for a bike ride. And then you get to work on the recent library book rental stack. I’m trying to snack more on raw veggies. My sister snacks on raw veggies all day long and she is my example. 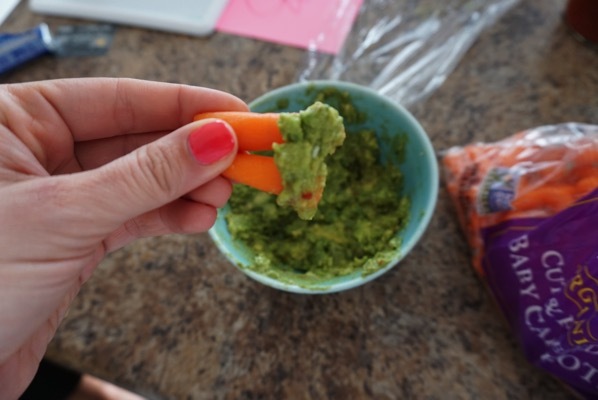 I just like adding some flavor to the veggies too… if you haven’t tried guac and carrots together, please do so. 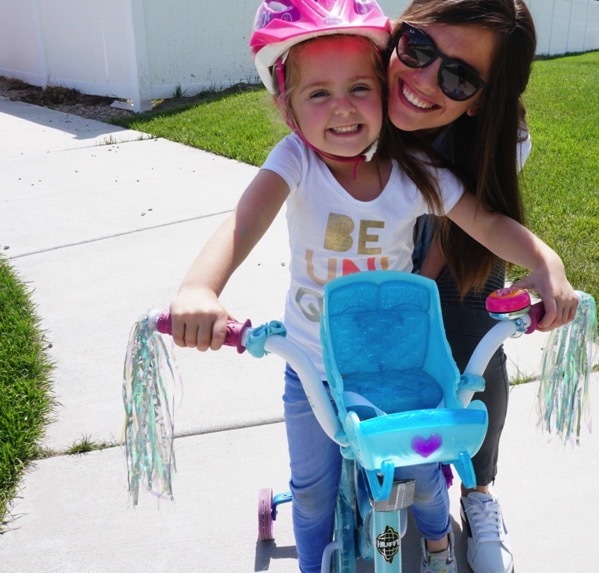 I think Brooke is more than ready to have Knox back home today… she needs another kid to even out kids to adults around here. It was a gorgeous evening outside. 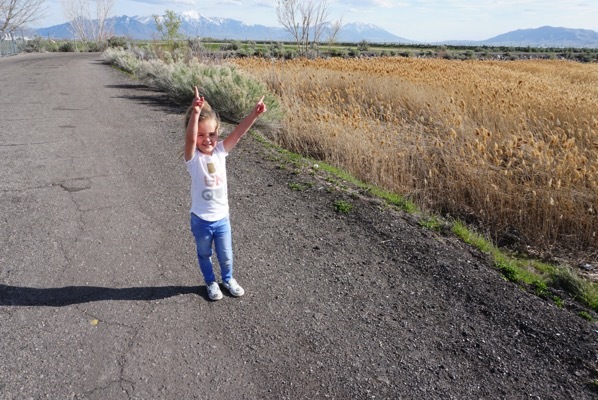 While we were walking, Brooke pointed to these plants on the side of the path and said that it was wheat… she then went on to explain to us that Wheat Thins are made from these plants in Utah. We then drove around for a little bit looking at different houses all around and then went to a Dairy Queen for the good stuff. 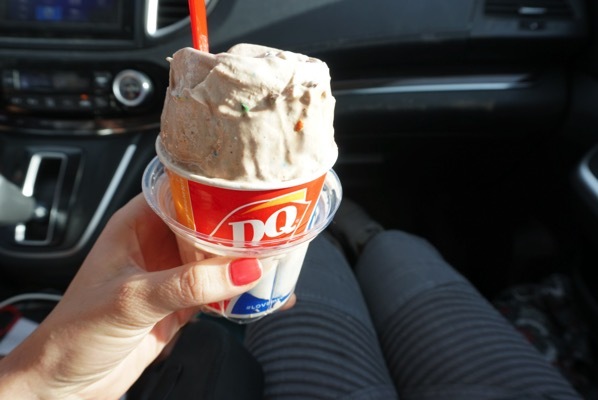 M&M blizzard for the win. PS follow along tomorrow… I’ll be taking over the Sleep Number Instagram!! Would love to chat over there on Wednesday! Close your eyes for a second and think about one of your absolute favorite races or runs. I’ll give you a second to really think about that day. What was it about that race/run that made it your favorite? What made it stand out in your brain? Was it the weather, the people, the course, the day, the place you were in life? For me it is a healthy combination of all of those things but when I really think about my favorite races and experiences… the thing that sticks out to me the most about that day is what was going on in my head during those miles. I’ve run a plenty of races in the past where the negative thoughts just kept flowing. The comparisons, the frustrations, the self-defeat… you name it, I’ve had a race that has been filled with those things. BUT the races that I have loved the most have been the opposite. They have been the ones were I am cheering myself on. Where maybe a negative thought pops in my brain about my running, time, whatever but that’s where it stops. Those are the races I want to package up into a bottle and carry around with me everywhere I go. And it doesn’t mean that I have had my fastest personal record days and so that is why I’m thinking so positive and cheering myself on… my best/positive brain races have included some of my faster times and some of my slower times. I don’t think I’ve necessarily just been a positive thinker just because I’m having a good running day that day and hitting faster times, the positive days have included all sorts of different paces. The thing is, no matter what the pace, I really love the days where I am cheering myself on, focusing on the good stuff I’m doing and forgetting the rest. Always fun to try to take a selfie at mile 21 of a marathon. We talk a lot about what our favorite mantras are. What key phrases are going to get us through the hard spots and what will give us a boost BUT are these mantras really going to do much if we have spent a good portion of the race with self-defeating talk? I think it might just cancel the two out or something. Experiment with me mmmkay?! The next time a self-defeating thought pops up in your brain during a run or race, just tell it to peace out. I don’t necessarily think we have all the control in the world to stop a thought from coming into our brains but we do have control over whether we continue to dwell on it or squash it. If this is a big problem for you then don’t think long term for this goal… just take it one day at a time. You might have days where you go back to your old habits but celebrate the days that you don’t, where you are your own biggest cheerleader. Soon you will have more days that you are thinking great thoughts about yourself and your running than negative ones and before you know it, it will become a habit. 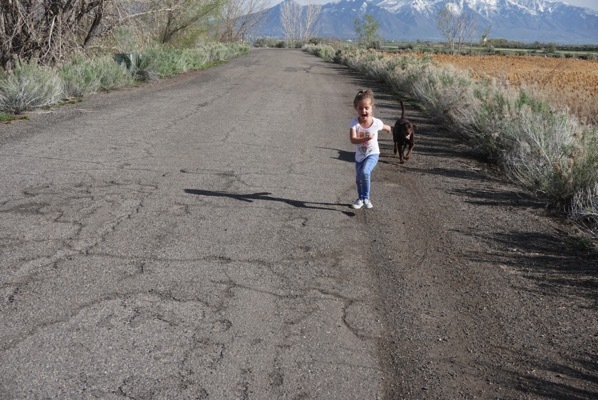 Talk to yourself on your next run like you would to your best running buddy. Notice the small accomplishments you have made and the progress over the miles. Running is hard. It is for everyone. But I KNOW that it is a whole lot easier and WAY more enjoyable when we are cheering ourselves on, giving ourselves pep talks and patting ourselves on the back a bit…. and then those mantras will really work when the going gets tough! You are stronger than you think. Last week I asked if anyone was interested in a fashion type post! Here are my top favorite finds/things I wear obsessively/have on my dream-list! Tops—> I wear a lot of t-shirts and my 7 top favorite t-shirt like tops are here (my number one!! ), here, here, here, here, here and here. My other favorites tops right now include this one, this one, this one and this one! I LOVE a good baseball t-shirt too! Bottoms—> I am boring with my bottoms (and I don’t wear a ton of shorts… when it is really hot I just wear dresses) but you can NEVER go wrong with the Motto Leggings (yes, this is the 500th time I’ve talked about them, I’m sorry), these joggers are ridiculously comfortable, I bought these white jeans years ago and still love them and I love a good pair of distressed light colored jeans. Wish list… these Gold Skinnies (yes, I am obsessed with this boutique). *My KORK-EASE sandals were a wise investment for me. They are SO comfortable, I can wear them for hours and I think they are cute. Wanting to get these ones too for this summer. *My Birkenstocks are one of my favorites. They are very supportive and last forever! These are the ones I want for this summer! *I also wear sneakers a lot in the spring and the summer too—> my top favorites are the Vanguards, Superstars and Vans. *I really want these peep toe booties to wear with my summer dresses to church etc. *I do wear these sandals a lot because I’m obsessed with them but they aren’t very supportive so I just wear them for short amounts of time! And these sandals (from Free People) are on my current wish-list. Ever had a foot injury? What was it? How long did it hurt for? Do you snack on raw veggies often? Plain or do you add something to them? Also, what is your most common snack that you eat? 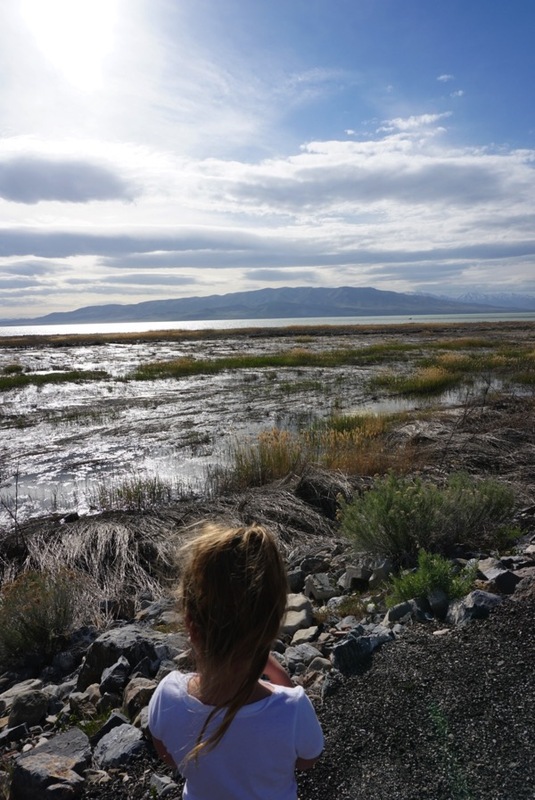 What about you… any tips on how to stop the self-defeating thoughts during your running? What is your run today? Love the tips! I think the positive self-talk thing can be applied to pretty much everyday life, in addition to the running thing. It’s easy to get down on ourselves, but giving ourselves little pep talks throughout the day when we need them the most can definitely be helpful. I’m glad you love the leggings…. I can’t stop talking about them so sorry about that ha. Thanks Natalie and I hope you have a beautiful day! Love moto leggings but struggle to find tops the right length for them. What is your go to top for yours? Post the link to that top under this comment? :) thank you!!! As far as motto leggings go, yes… I size up! I don’t love them feeling skin tight so I usually go up a size and then they are the perfect fit! So excited for you to order some… they are my favorite! My favorite is a little bit longer top that is super loose with the leggings:) Tight pants and a loose top is my favorite:) Thanks Tara and I hope you have a great day! I had mild foot pain for a few weeks back when I first started increasing my mileage, I switched my sneakers from Reeboks (who runs in reeboks?) to Asics and I’ve never had that problem again! SO glad that you figured out what was causing the pain and fixed it! Have an amazing day Krista! I’ve had peroneal tendonitis a lot. It’s the tendon that connects the side of your foot by your pinky toe behind the ankle bone and up the side of the calf. The last time it was bad was in the Spring of 2014. I’ve been keeping that one in check ever since with foam rolling my calves. I’m still currently dealing with my toe injury. Still not sure exactly what it is but at this point feels like the final stages of a torn tendon or tendonitis. 28 days of limping have left me feeling off balance and tight so I’m hoping I can get myself 100% healed AND strengthened and stretched as well in another couple of weeks. I don’t love raw veggies much. Raw spinach and cucumbers are really all I eat. And sometimes sugar snap peas or string beans with a delicious dip can work. For me, the best way to stop self-defeating thoughts is distraction. I’ll make up stories in my head, the more ridiculous the better. Sometimes I’m too tired to do that so I count things, like how many yellow flowers I see or people wearing hats. I have a mantra: “What is a life?” (I think I got it from Brendan Leonard’s The New American Roadtrip Mixtape.) It reminds me that for life to be worthwhile (to me) I need to strive to do hard things, not just hang out with Netflix (that comes after!). I love the clothes you show from Roolee…I’ve thought many times about purchasing things from there (I have a hard time buying things online because I feel like things always look different in person). I was going to this time, but unfortunately they were sold out of the distressed light colored jeans in my size! Do you feel like the pictures accurately portray the clothing? And are the sizes fairly accurate? Thanks for the recommendations! OH NO… they are sold out now in your size… lame! I think that the sizes are pretty true to size. In the leggings I do go up one size just because I don’t love them to be SO tight. But the jeans have always been true to size for me. A lot of the shirts are oversized because they are meant to be loose but I still get the same size I normally am. Good luck Jessica and I hope you are having an amazing day! I remember my first half marathon I was on cloud 9 the whole time. I kept thinking “Ok Alyssa, enjoy this part of the race because at some point this is going to be really hard and not be fun anymore” but it never did. Maybe it was adrenaline, maybe I was so focused on enjoying the race but I loved every minute of it. I have had plantar fasciitis for a few years now. It still aches frequently but I try to wear supportive shoes most of the time and roll it out when it aches. Luckily most days my running hasn’t been affecting it, so I’m very grateful for that. But I need some of those cute, supportive sandals for summer! I have pretty high arches and really need support if I’m going to walk a lot, but I LOVE flip-flops and want to wear them all the time in summer. I discovered that Teva makes flip-flops where the rubber sole will mold to your foot after a week or so of wearing, and once they’re broken in, they’ll provide pretty decent arch support. They’re also pretty cheap at places like DSW. They’re not as cute as the ones that you linked to in this post, but at least they’re another option for casual days and flip-flop lovers. EMILY… thank you so much for letting me know about this! I NEED flip-flops in my life and I need some arch support ! I’m going to check them out now! Hope you have a great day Emily and thanks for letting me know! HAHAHAH YES!!! I say that it is impossible to have too many stripes. I can’t stop. I won’t stop. hahah! Have a fabulous day Laurie! I’ve been snacking on baby carrots lately but I have to be careful – too many hurt my stomach! sometimes I microwave them to soften them – cooked veggies are much easier on my stomach. Oo thanks for the clothing recs! Going to take a glance at those. I need a new spring wardrobe! I snack on raw carrots, but i can’t think of other veggies I enjoy raw. Celery is meh! Love the pep talk! It’s great how it applies to so much more than the running world. Even just a busy day, taking the time to talk kindly and supportive-ly to yourself is so important. I snack on raw veggies a lot IF I chop a bunch ahead of time. That is key for me. I love those dresses from Roolee, I wasn’t familiar with that site but will be now! That is a good idea… I need to prepare a bunch on Sundays, thanks for that tip! YES… I get a ton of stuff from that store, they are my favorite (and they are in Utah:)! Have an awesome day Christina! HEY ASHLEA!!! Yes, I am wearing the dark grey ones in the post above… I’m obsessed! I have both so I say get both ha… I’m a bad influence. 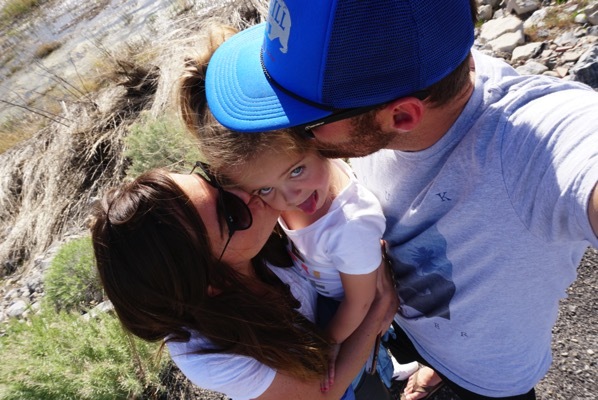 Her shirt is from Old Navy (I get all of Brooke and Knox’s clothing there:) and it is in the girl section! Have an awesome day! I like to dip my raw veggies in hummus. So good!! Usually broccoli, snap peas, carrots, cucumbers, or bell peppers. When I am running I tell myself “I can do hard things”, pretty sure I learned that from your blog. 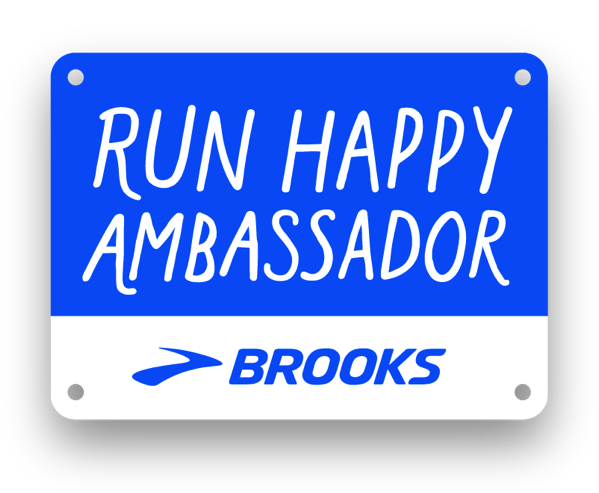 Or I smile and the running instantly becomes easier and more enjoyable. Sometimes I think what a privilege it is to run. There are people that can’t due to illness and disability. I tell myself how lucky I am and then I run for those who can’t! I just got my Birkenstocks in the mail, the ones you want. I got the mocha color and I love them!! They are so cute and supportive! THANK YOU Ashley for the tips… I’m going to be using those ones too next time I get negative thoughts while running! We really are so beyond lucky to be able to go out and run. OHHHH yay for the Birks…. I might copy your exact ones! Thanks Ashley and have a great day! I have been trying to experiment with different veggies and different ways to use them. I tried broccoli rice and cauliflower rice last week for the first time, and I’ve started using baby broccoli as a side dish. I think it tastes better than regular broccoli haha. I love that you can buy pre-riced veggies at Trader Joes! I may never eat regular rice again. The broccoli rice is really good!!! Have you worn Oofos before? They’re flip flops designed for race recovery. However, after a nasty case of PF last summer I started wearing mine around the house and now I never take them off-except when I’m wearing my running shoes! The original sandals aren’t the prettiest in the world, but the “Oolala” come in different colors and aren’t horrible looking. I highly recommend these for all runners! Just looking at those makes my feet look comfortable! Thank you Eve for sharing, those would be really good for me to wear right after a race or long run or hard workout. I get PF too so this will really help:) THANK YOU!!! My pleasure! If you get them, let me know how you like them! They were truly game changers for my feet:-). 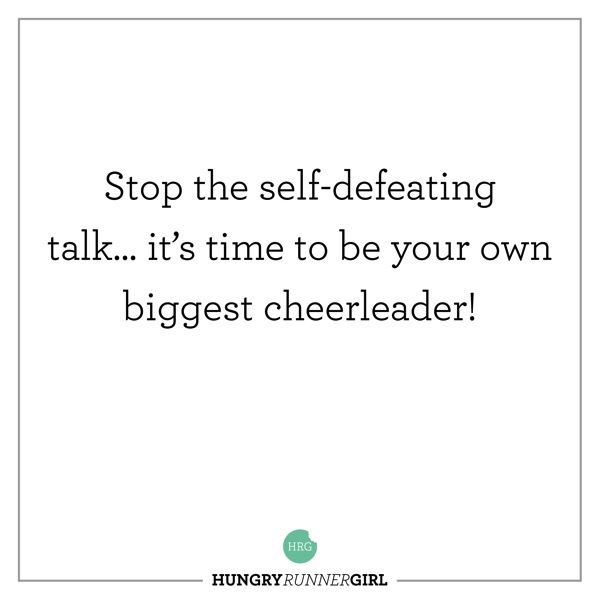 I agree that we all need to stop with the self defeating talk – myself included! It’s so much better for our energy throughout the day to think positive and believe in ourselves. As a vegetarian, I love snacking on raw veggies! Vegetables are some of my favorite foods. I’ve had plantar fasciitis on and off for a few years now. It’s been pretty good for the last year or so, but I’m also pretty careful not to do high impact workouts – no running or jumping for me. Love your fashion pics. Especially the dresses. We are so lucky as women to be able to wear dresses in the summer heat. Men have it so much worse! I am currently on the look out for cute dresses that I can nurse in. I am also planning on buying the same pair of Birkenstocks. I have spent too many years in uncomfortable, cheap sandals and this year I am planning to splurge on a good pair. I snack on raw veggies (with hummus) A LOT. I usually have carrots, bell peppers, and cucumbers in the house, and I try to chop a bunch in advance and keep them in the fridge for quick snacks during the week. You’re always my go-to person for odd flavor combinations. I remember the first time you mentioned grapes and cottage cheese! Yayyy so excited by your dress links. I’ve never heard of Called to Surf, but it looks like they have tons of cute dress options that are modest lengths even for tall peeps like me :) Thanks!! no foot injury, but currently dealing with hamstring tendonitis. started having pain a few days after a 20 miler a few weeks ago and was in the midst of trying to BQ at a marathon on may 7th. now i am in PT, getting dry needling and massaged 2x weekly, strengthening, foam rolling – essentially everything i can do – to even just run the marathon. started running again this past week after 2 full weeks off and the pain is still there. so yeah, no bueno. i eat a salad every day for lunch – so lots of raw veggies in there! love self-positive talk! only way to be! I think we all through ups and downs with running. Right now I’m definitely in more of a negative flow with things. I’m just looking forward and regrouping. I think reminding yourself that things will get better! Best post ever! I loved all of the fashion links — I’m always looking for cute items to add to my collection! What size do you typically grab in the Madewell basic tee’s? I tore my plantar fascia in February 2015 and it was ridiculously painful! I ended up having shock wave therapy and while that was killer, it sped up my recovery time tremendously and I was running like normal by June of that same year. I love carrots & hummus, celery with pb, and green bell pepper with pb. Sometimes it’s something as simple as trying to smile during a tough run that helps me. Sometimes it’s just trying to be grateful about the fact that I can run. Sometimes it’s focusing on the reasons why I run and on my goals. Today was a quick 3 mile treadmill run and then strength, all before 5:30am! Whew! I believe I currently have posterior tibial tendinitis :( been out of commission for almost a month now (tried to work out on it a few times which probably exacerbated/extended the injury). Hopefully now that I’m staying off it entirely, I’ll be able to get back on my feet soon. Really looking forward to your running clothes finds!! I learned very recently as I started running that you need entirely different gear and special clothes… it’s been an extensive, expensive, and overwhelming journey trying to stock up on stuff and learning what to buy eeeek. I just wrote a blog post last week about the power of positive self-talk. I couldn’t agree more. Thank you so much for your comment and sharing that with me! Just the quotes I needed! Enjoy the rest of your day Joanne and let me know if you get any leggings! I have dealt with foot injuries. A few years ago, I had constant pain on the top of my left foot that got worse when I was running. My foot was swelling during the day and would just throb. After X rays and resting, I was referred to a podiatrist who knew what the problem was right away. Something to do with cartilage pressing on the nerve that goes along the top of your foot. A shot of cortisone in the top of my foot and tying my running shoes differently has helped a lot, but I’ve noticed the pain is returning lately. I also have issues when I wear flip flops for any length of time, my feet just hate me. I replaced all of my flip flops with a pair of Birkenstocks that have a loop around my big toe early in 2015. In my experience, the Birkenstocks that have any kind of strap that goes between your toes do not last as long. I put mine on this year and the strap between my toes is cracked and has edges that HURT. I’ve emailed the Birkenstock people and basically I’m out of luck, unless I find someone who can fix them. It’s SO disappointing. The footbed and soles are fine, it’s just that strap that gave out. Maybe there’s some kind of leather conditioner that would help prevent that? I love carrots and guacamole. We buy the single serve guacamoles from Costco, they’re basically a staple in our kitchen now. Do you have any recommendations on home treadmills? I’ve been following your blog for months now, and I thought you would be the perfect person to ask. Looking for a treadmill for home, usually running 5-8 miles per day. Don’t have any size restrictions. Thank you!! HEY JENNA!!! 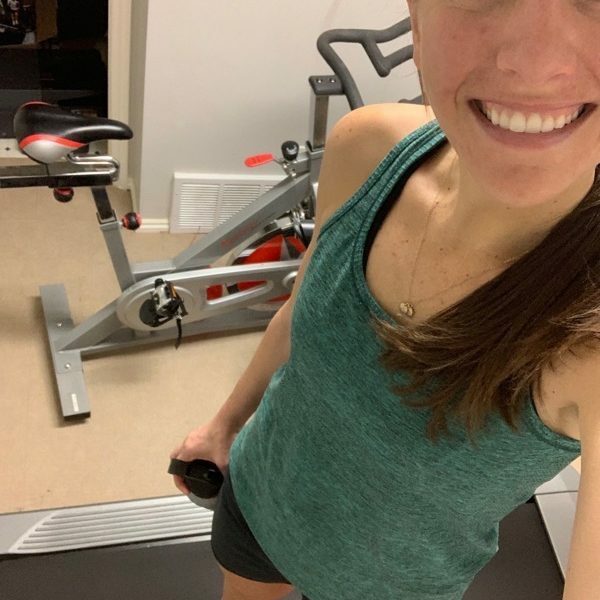 I have had two Nordic Track treadmills over the years (I lost the first one in my divorce… have a new one know:) and have LOVED both of them. I have had zero complaints and I put a lot of miles, hills and different speeds on my treadmills. I currently have this one and love it a lot… here is my full review! No tips on keeping negative thoughts away other than keeping a smile plastered on my face and really TAKING IN all of the beauty/sights around me. The races that are most memorable to me are the ones where I did WELL because I didn’t drown myself in pressure, and I truly did take in the sights and kept that smile on my face. Anytime we are in Hawaii for an extended period my feet start hurting because I walk a lot more while we’re here. I had a pair of sandals that I wore so much the sole fell completely apart. I’ve gotten better about that and usually wear Sketchers or Clarks for good support. I was completely under-trained for my second marathon. My dad was hospitalized for most of my training and I was spending a ton of time driving from LA to San Francisco to visit him. I decided the day before the race that I would smile, thank every volunteer, and encourage other runners. I ended up running the second half with a first time marathoner. Her friends had gone ahead and she was ready to give up. We weren’t fast, but we kept going, talking and smiling to the end! Short run today – my last on Oahu for a while. California here we come! Oh I hope your last day in Oahu was amazing and enjoy California Kathy! 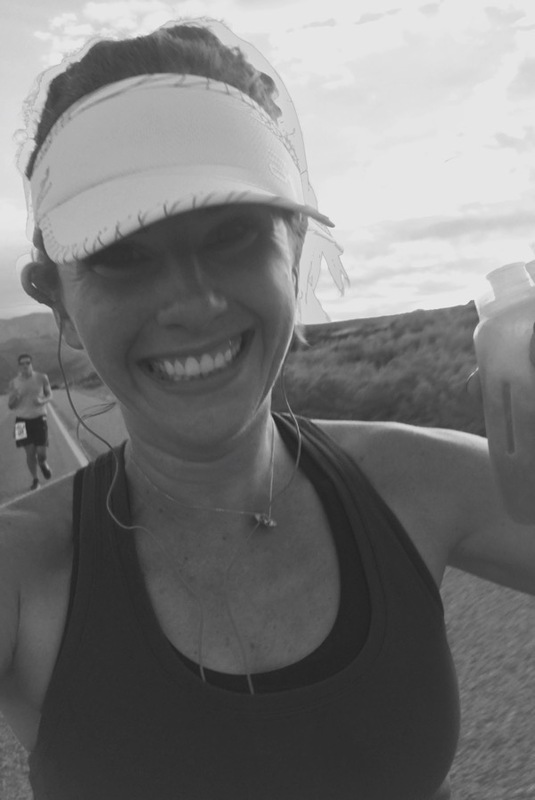 I LOVE what you did for your second marathon…love that story! Great advice! Thanks Kathy! Oh good! 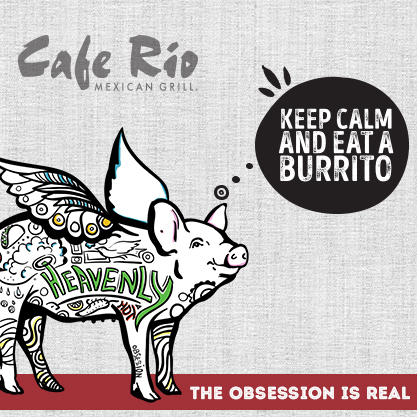 I’m glad you like them:) Yeah… I don’t think celery is good with anything but ranch or peanut butter! Have a fabulous day Lauren! I was out for over a year with plantar fascitis. It was TERRIBLE!! I still have to really watch how I treat my feet. I’m a teacher so I’m always on them, which does not help recovery.. I love it when you post fashion stuff! Great discoveries! I stress fractured my foot in a previous running life (2010) and it basically sideline me for 6 years… I didn’t get back into running for years after it! Thanks for posting clothing and shoes… I am thinking about a pair of Birks but just can’t decide which style or color! I’ve had plantar fasciitis for about 2.5 years, and the PF in my left foot is near completely torn. yeah… it’s super awesome. :( Thanks for the supportive shoe suggestions, because I’m always on the lookout! I always love your clothing finds!! Can’t wait to hear about your favorite running clothes! I do snack on raw veggies, but I should snack on them more! Mostly I snack on fruit a lot. Hi! What are your thoughts on recovery boots like rapid reboot and normatec? How do you like to recover after runs? Thanks!! 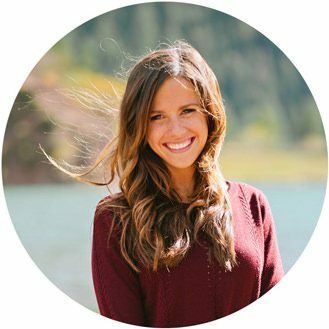 I love your blog, so inspirational! That M&M Blizzard looks amazing! Positive self-talk is key for me. I sometimes say out loud “you’re doing just fine, you’re ok” and for some reason that comforts me and helps me keep moving. I also like to look for birds. It keeps me distracted and when I see one, I can’t help but smile. My fave snack is a mini baby bell cheese and a honey crisp apple lately. 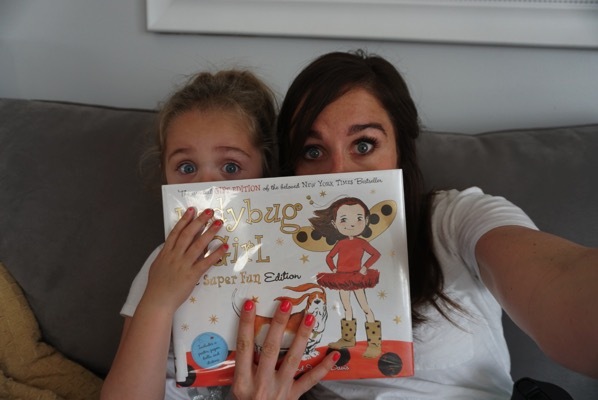 You should check out the book Stephanie’s Ponytail by Robert Munch. SO good! Well…I love all his works but that one is my favorite! I think Brooke would like it.